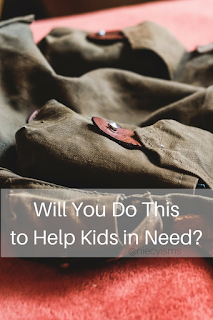 Will You Do This to Help Kids in Need? Starting off the new school year with the necessary supplies is an important first step toward academic success. Unfortunately, not every child has the benefits of having basic tools of learning available to them when they head back to school. Here's where we step in to pay it forward. There are students unable to fulfill their true potential without the support of those of us in the position to do a little social good. Will you do this to help kids in need? Thank you to our friends from The Kids in Need Foundation for the courtesy of providing informative content and promotional product for editorial purposes. With a 22 year proven record of success, The Kids in Need Foundation has generously provided more than $900 million in free school supplies to kids in need all across the nationwide. This year, in a new initiative, The Kids in Need has teamed up with Target. Target promises to provide a backpack filled with essential school supplies t a child in need for each "like" or "share" of this video. I'm sure that you have just a moment to like and share this video and the word with family and friends. Your little act of kindness is making a huge difference in the life of a child. We need your help. Let's make it happen today, the sponsorship deadline is September 9th to help 725,000 kids! The Kids in Need Foundation sends a heartfelt "Thank You!" for “liking” and sharing this video.